i'm just starting out to use the hp wallart feature. and just tried out to submit a test order. the tiled pdfs came out as about 60cm width prints. any ideas on how to make it bigger? say around the 135cm so we don't need to cut and align edges too often as we're using HP PVC Free Wallpaper. 1- Go to your HP WallArt Option Menu. 1- Go to your dashboard menu. 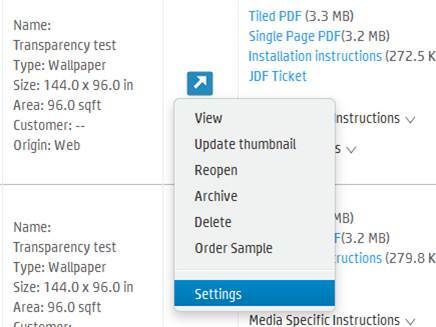 3- Click on settings, and a new menu will appear. 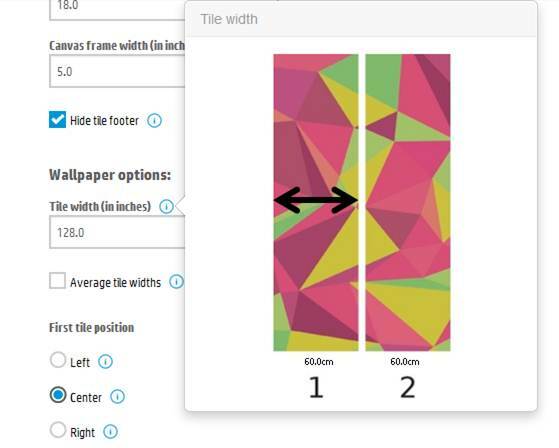 There you can will be able to set a new tile with for this project.